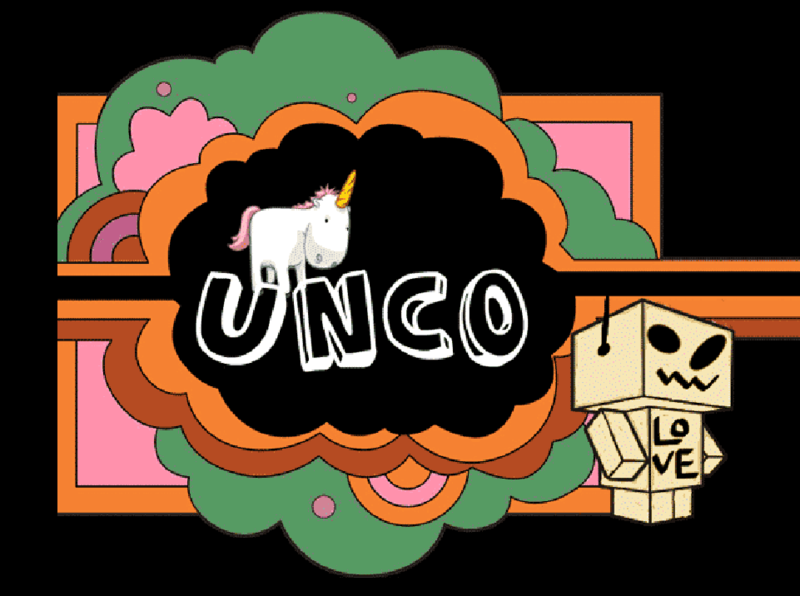 This year, I am again helping to host the unConference (#unco11)! It will be held at Stony Point Conference Center on May 16-18. What is it? The unConference will be three days of worship and open-space discussion on the church and its future. With an eye toward intentional diversity, we will be drawing from the wealth of knowledge at the gathering. 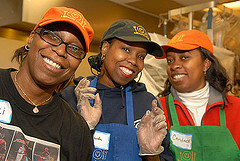 The leaders, topics, and workshops will be harvested from the participants. During these discussions, we will share ideas about planting communities, writing liturgy, creating art, innovating technology, crafting wine, or wherever our passions and insights might lead us. So those of you who follow Bruce Reyes-Chow, the Presbyterian Moderator, on Twitter, know that he has been talking about certain conferences, and prodding us, wondering about our Mainline interest or disinterest in them. But, for some reason, my reaction to the Catalyst Conferences overwhelmed me. And I wondered why that was. Was it jealousy? There are as many Mainliners as there are Evangelicals (and I realize that there is a lot of cross-over in terms here), but Evangelicals almost completely drive the religious book market, the religious media, and politics, because of the fantastic ability that Evangelicals have to organize huge events, and to find unity in vital causes. Authors and musicians who get invited to these sorts of conferences do really, really well. I was warned constantly when I wrote Tribal Church to make it an Evangelical book, or it would never sell. But, I don’t think jealousy was fueling my frustration. I think the main character in the driver’s seat was fear. As you can see from the line-up, there were very few women involved in The Nines, and (I think) only one ordained woman. I’m afraid of going backwards. It’s irrational, I know. But the fear and anger are still there. It was very difficult growing up in a religious tradition that saw me as sinful because of my growing call into ordained ministry. It was painful watching many of the women in my family, who had the same calling, not be able to pursue theirs. It’s difficult to think of all the Bible school students in my “message preparation for women course” (we were not allowed to call it preaching), where I heard some of the best sermons in my life, who pursued their M-R-S in the hopes of being a pastor’s wife, because that was the very closest that they could come to being a pastor themselves. I understand the religious viewpoint that women should not be ordained. I know that an Evangelical conference will have a handful of women, and we should not expect more that that. But I also understand the deep sorrow and frustration that church can cause from the sexism that bleeds from generation to generation. And when I’m faced with it, then I bark, in anger and pain, as if I’m facing a dog that previously bit me. The denominational church, even with all of the ordination difficulties, even with its less-than-flashy conferences, and its inability to unite across denominational lines to become a stronger voice in publishing and politics, has been an unbelievable font of grace for me. Welcoming my gifts, encouraging them, and allowing a place for them to flourish. And even though there have been bumps along the way, there is a way for someone like me. And I am filled with overwhelming gratitude to be a part of it. I left the Evangelical Church, because the Mainline church—with its strong commitment to social justice, gender equality, spiritual disciplines, and intergenerational community—seemed much more relevant. And yet, now that I’m inside, I find many Mainliners wishing that we were like Evangelicals, so that we might gain relevancy. I just wish we, the Mainliners, could see what gifts we have, celebrate them, and I guess along the way… I wish that we could learn to organize a little better. We interviewed Jeff Sharlet, the author of The Family, on God Complex Radio yesterday (as usual, you can click on the right to hear the interview). It was pretty fascinating. He was a part of Ivanwald, a home for men, who are the chosen ones. They were men from affluent households, who were being groomed, through hard work, close mentorships, and prayer meetings for leadership. Ivanwald also has a connection to C Street, a home for congressmen who are connected to the Family and have been highlighted in a number of scandals lately. The Family is a secretive, and extremely powerful fundamentalist group. It was actually a pretty emotional experience for me, reading the book. I don’t want to over-play my relationship to the Religious Right—I left it before I turned twenty-one. But it answered a lot of questions for me. It also reminded me of many of the differences between my Conservative roots and my Progressive present. Most of the shifts are wonderful, and I embrace them, but reading this haunting history reminded me that there are some things that we can… well… I’m groping for words here… learn from Conservatives? Things that I’m thankful for? One of the most shocking realizations as I read this book is the lack of mentoring that happens in Progressive circles. I always hear people who lived through the 60s, decrying the fact that there are no good young leaders. We have a leadership vacuum. There is no respected, loud and clear voice, speaking out for progressive values. It always confused me, because I’m surrounded by smart, young progressive leaders. To me, it seemed like they were speaking clearly, but no one was listening. Yet, as I work more and more within our progressive faith tradition, I realize that there is almost an undercurrent of hostility toward the young. I feel it often. Working with generational issues, all across the country, I am always hitting on some raw wound. It often comes up when I point out sociological research that says that Generation X is the most innovative generation in our country’s history. We have more entrepreneurs, we’ve started more companies, fueled the tech boom, etc. And let me be clear. I brought up Gen X because their span still includes people in their 20s. But I’m not talking about people like me. I’m not so young any more. I’m talking about those who are younger than me. For instance, I have also been startled by attitudes toward Campus Ministry. I have been working with college students, in one way or another, ever since I became a pastor, because it’s important. I know that we are overshadowed by the phenomenal success of Campus Crusade for Christ (which always makes me wonder… what college student wants to be a part of a “crusade”? What organization would embrace that name? The crusades were a dark and terrible blot for Christians…), Intervarsity, and Fellowship of Christian Athletes. Even on George Washington University’s campus, where most of the students are politically progressive, why would CCC’s ministry be so robust? Well, I’m not sure how many full-time staff that CCC has on George Washington University campus, but I know it’s at least two. At least 80 hours a week dedicated to developing young Christian leaders. In comparison, I work ten hours a week, and I am in a constant struggle for funding to hold on to the ten hours. Most of our Campus Ministers, in Mainline Denominations across the country, spend most of their time trying to justify their jobs, and trying to fundraise in the midst of denominations who question our existence. Denominational funding has been slashed, governing bodies don’t understand the point, the local church feels to strapped to reach out. There is always something more pressing than Campus Ministry. There would never be a question in a conservative church. Never. If the ministry was struggling, they would fire the person and put someone effective in. Why? Because they are just much more focused on young leadership. They don’t wait for young leaders to kick down the doors, they open the doors for young leaders. And if there is no door to open, they build a door for them. It seems that we have lost our vision in Mainline Christianity for mentoring, challenging, developing, and loving young leadership. There are exceptions (thank God) to this overarching theme. Will Willimon spoke about his frustrations on this issue quite clearly. But, it still remains as the most startling difference between the two cultures. 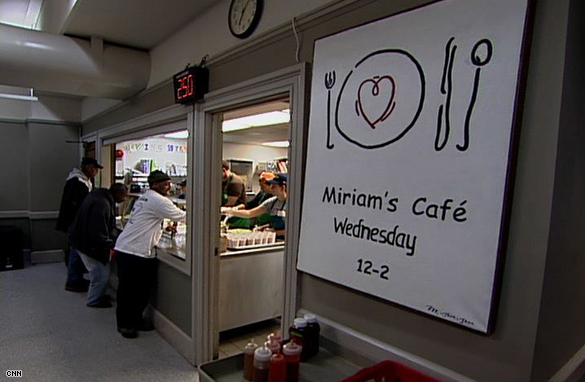 Miriam’s Kitchen, the feeding and social services program at Western, was on Anderson Cooper yesterday. They’re doing amazing things, in difficult times. Being a parent has made me very adept at sneaking into the toy box and pitching whatever I can. You know, as a pastor’s kid, my daughter has inherited multiple boxes of Barbies, complete with clothes and cars circa 1980-something. And then there are the kid’s meal toys, the toddler cuddlies, the puzzles with missing pieces, or the games whose money is hiding in a plastic red wallet somewhere…. You get the picture. Even though my daughter loves all of her toys with intensity, sometimes they’ve just got to go. Quietly. In the night. I say that being a parent taught me this. But, actually, I think I learned it when I became a pastor. Which brings me to the point of this post. 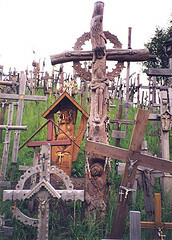 We’ve all got crap in our churches. Stuff that needs to go, even though someone in our history loved it with intensity. So, my husband Brian, a.k.a. the pastor of disaster, issued the stealth summer challenge. Now that our churches have quieted down a bit, what can we purge? Here is your mission, if you choose to take it up. Throw something away, or at least hide it, and then report back in the comments. And, in general, what’s the funniest thing that you’ve thrown away? How did you get rid of it? Did anyone notice? What’s the weirdest thing that your church can’t let go of? Have you gotten in trouble for tossing something? And any ideas on why they keep so much stuff? We are a country of rugged individuals. We raise our sons and daughters to be independent. Self-sufficiency is the ultimate goal of parenting, and we would like for them to achieve it at age eighteen. As young adults, we won’t think of getting married until we are financially independent, even though we often need two incomes to sustain one household. And when we do get married, even in our own families, we are seeking a secluded life. We live in a society where ultimate happiness is portrayed by a man, in an expensive car, with leather seats, with a blasting stereo, driving as fast as he can, making smooth corners on a road somewhere, completely isolated, completely alone. Of course, after driving in traffic gridlock of D.C., I do understand this fantasy a bit more… but the problem with this advertising fairytale is that the isolation, even in with great wealth, is not making us any happier. This era of independence, of self, does not bring us contentment. Bill McKibben writes about all of this in his book, Deep Economy. As wealth has grown in the last couple of decades in our country, happiness has declined. Americans who said they visited with their neighbors fell from one-third to one-fifth, and it keeps falling. We’ve been working too hard. We’ve been entertaining ourselves in our own personal playrooms. Our sense of independence has affected American religion, where a personal, privatized faith in Jesus Christ has become much more important than the faith community. I know of some churches have difficulty maintaining their budgets because people give so much to televangelists. What they receive in the privacy of their own homes is more important than being a part of a body of believers. We have based so much of our economy on individual gain, even though our communities suffer. Wal-Mart is a good example of this. My brother-in-law and sister-in-law work for Sam’s, so I know a lot about Wal-Mart and their employment practices. People shop there because the prices are so low for the individual customer. And yet, as the superstores have multiplied, we know that they are bad for our communities. In the few years that Wal-Mart was expanding in Iowa, “the state lost 555 grocery stores, 298 hardware stores, 293 building supply stores, 161 variety shops, 158 women’s clothing stores, and 116 pharmacies.” A new Wal-Mart eliminates a job and a half for every job it creates. Comprehensive studies have shown that counties with Wal-Marts have grown poorer than surrounding counties, and the more Wal-Marts stores in the county, the faster they grew poorer. Communities suffered but the individual benefits, from lower prices. The other problem with putting individual gain over the community is that humans seem to be genetically wired for community. People who have good friends or who are close to their families are happier than those who are not. People who participate in religious communities are happier than those who are not. Joining a club, a society, a church of some kind cuts in half the risk that you will die in the next year. And the activity that makes Americans happy, that produced all kinds of joy? Volunteer work. People make friends through it. They see results. It broadens their experience of life. It gets people out of themselves. Now, how do we convince our culture? How do we let people who have grown up in an onslaught of “buy this and you’ll be happy and independent” messages know that it doesn’t actually work that way? –T-shirt on a guy meeting with friends at a coffeehouse.